Below we have listed the regular opening times of Ladbrokes Queen Marys Road in Doncaster which is Monday to Friday 9AM-9:30PM, on Saturday 8:30AM-9:30PM, on Sunday 9AM-6PM. However, these can change upon the time of year as Grand National day the opening and closing is longer. The photos below show the shopfront betting shop of Ladbrokes situated on Queen Mary Road. Nearby to these pictures are several shops and a large car park which is great for the betting shop location in Doncaster. For more information about opening times on Sunday or late night, shopping make sure to view the information below because we try to keep up to date on special offers ran by Ladbrokes and events in the area of Doncaster. Ladbrokes Queen Marys Road Doncaster is open 7 days a week because now Sunday horse racing has grown in popularity. If you want to find the closest ladbrokes shop near your location please follow this link which lists all the UK locations. 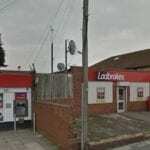 Ladbrokes Queen Marys Road Doncaster is a licensed Betting Shop located at Royal Hotel Yard, Queen Mary Road in DONCASTER DN11 0TS. The license status: Active by Doncaster Metropolitan Borough Council is based at Civic Office, Waterdale, Doncaster, DN1 3BU. 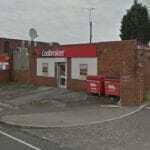 This Ladbrokes betting shop is located in Rossington. Rossington is a civil parish and former mining village in the Metropolitan Borough of Doncaster in South Yorkshire, England and is surrounded by countryside and the market towns of Bawtry and Tickhill. The village has a number of churches of different denominations: St. Michael’s Church (Rossington Parish Church); St. Lukes’s Church (New Rossington Parish Church); Rossington Methodist Church; Christ the King Roman Catholic Church; New Life Christian Centre; and Rossington Community Baptist Church at Holmescarr Community Centre. The village has several schools, including St. Michael’s CE Primary School; St. Joseph’s RC Primary School; Tornedale Infant School; Pheasant Bank Junior School; Grange Lane Infant School; and Rossington All Saints Academy. Rossington Hall, which became a boarding school for “educationally subnormal” children in 1953, closed in 2008. Former councilor and Labour Party politician Caroline Flint owned 77 acres on the 3,000 acres Rossington Hall site in 2008. The area is known as “Rossington” is made up of a number of villages and hamlets, namely “Hesley”, “Littleworth”, “Rossington”, “New Rossington”, Rossington Bridge and Shooters Hill. Littleworth was enlarged to a great degree in the 1970s, when Littleworth Park Estate was built. The new village began to be built around the time of the sinking of the colliery. Rossington Bridge, although now only consisting of a few buildings is the oldest of the six settlements; situated on the crossing of the Roman road from Lincoln (Lindvm) to York (Ebvrscvm) via Doncaster (Danvm) it was once the site of a major Roman fort (the largest between Lincoln and York). Rossington Main Football Club was formed in 1919 as Rossington Colliery, originally playing behind the colliery offices in New Rossington, before moving to their current home at the end of Oxford Street in 1921. In 1998 the club merged with the latterly formed Rossington F.C. (formerly Station F.C. ), and the new Rossington Main F.C. currently play in the Northern Counties East League. Ladbrokes have been known to sponsor football clubs because a huge part to their brand is football betting and it would not surprise me if Ladbrokes Gaming would sponsor this club. Rossington is the home to the ‘RASCALS’ swimming team based at Rossington Sports Centre. Rossington Swimming Club was founded in June 1966. Rossington has a long history of local junior and senior cricket. Rossington Main Cricket Club. The cricket club has 3 senior teams that mixes youth and experience and these teams play on a Saturday and Sunday. The cricket club also has junior teams from the age ranges under 11s, under 13s, under 15s, and under 17s. As Ladbrokes also takes many cricket bets in the UK it is common for them to sponsor cricket events so Rossington Cricket Club should be approaching Ladbrokes to try and get some money for advertising their brand. If you wish to bet on cricket, it is important you are aware of the different bet types.